Millions of people across the U.S. struggle with weight loss on a daily basis. When it comes to diets, they’ve tried them all. Two eating plans currently are making headlines in the news and on social media. Called the Ketogenic Diet and Whole30, both plans require adherents to follow a low carb diet. However, there also are distinctive differences between the two that may make one plan a better, more effective choice for some individuals. Ask a dozen people to name the best diet plan, and you may get a dozen different answers. Many of them will say that a low fat diet of one description or another is the answer. However, scientific evidence suggests that low carb diets actually are more effective. 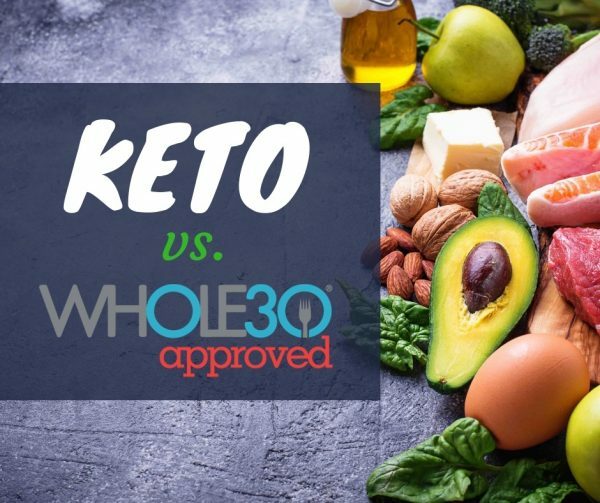 Both Keto and Whole30 ask participants to ditch the carbs, but while one is a long-range eating plan, the other is designed as a one-month reset. Following either one may help you to meet your weight loss goals and avoid some of the most common health concerns in the U.S. The Ketogenic Diet is a high-fat eating plan that asks followers to cut their intake of carbohydrates to virtually nothing. This strategy transitions the body to ketosis, a metabolic state in which fats are burned with remarkable efficiency. In the standard version of this diet, followers try to stick to five percent intake of carbs, 20 percent of proteins and 75 percent fats. Sugars, grains, fruits, legumes and root vegetables should be eliminated or severely restricted on this diet. Eating a variety of meats, fatty fish, eggs, butter, cheese and nuts, along with green, leafy vegetables may help people to lose weight and avoid diabetes. Risk factors for heart disease and cancer similarly may be reduced. Whole30 creators Melissa Hartwig and Dallas Hartwig explain that their program isn’t a diet. Instead, it’s a “reset” button that is targeted at changing the foods that you crave as well as identifying which foods may be causing you to feel sluggish and sick. On Whole30, you can eat fruits, vegetables, fish, chicken, eggs and any foods with healthy fats. Baked goods are not allowed, nor is any food containing artificial sweeteners or added sugars, though other carbohydrates are acceptable. After 30 days of following this strict elimination diet, followers try to reintroduce food groups to see how their body reacts. When users experience intestinal distress, pain, acne or other adverse reactions to eating certain foods, then they know to keep those foods out of their everyday diet. Neither of these programs is a low fat diet. In fact, the Keto Diet emphasizes high fat intake, and numerous studies support the idea that a diet high in healthy fats may be the right way to go. It’s important to note that Whole30 is designed to cleanse the body, which may or may not result in loss of excess weight. People who try this one-month plan shed their sugar addiction and lose some poor eating habits without question. They emerge with a better idea of which foods are causing them discomfort in everyday life. The Keto Diet, conversely, is aimed at a longer-term solution with a focus on shedding excess pounds. Both are severely restricted eating plans, which may not be suitable for an extended period of time. Anyone wanting to kick-start a healthier eating plan may want to try one or both of these programs before ultimately deciding which foods are best for their bodies and minds.